There are so many attributes to look for when you are trying to pick an individual stock to buy and invest in. All of the choices and information available can make trying to find a good stock at a low price challenging. What makes a stock a good value to buy? What are the characteristics of a stock poised for growth over the long term? 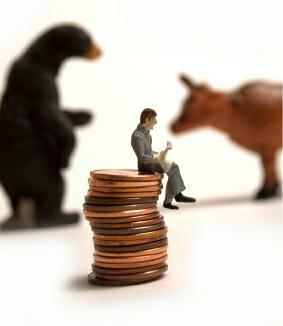 How do you know if you are buying stock at a low price or at the stock’s peak? Over the next six days I’ll share some insights with you on what you should be looking for when choosing individual stocks. I’m a contrarian, or value investor, at heart. I personally like to buy beaten down stocks of good companies that the market has overly punished. The price of most stocks swing wildly in the short term but smooth out over the long haul, and that is why it is imperative for investors to be in the market for the long term. Who knows what any stock will do tomorrow? But, stocks have historically risen at about 8% annually over the long term. Contrarian investors buy stocks, or go long, against the prevailing market trend. They buy when stock prices are falling and sell, or go short, when prices rise. Buy low, sell high. Many companies may have a bad quarter or a bad piece of news come out about them in the press that severely punishes their stock even though they may still be a solid company fundamentally. A firm can be doing all the right things, but if one bad piece of press comes out short term investors run for the bunker and take the stock’s price with them. A contrarian investor looks for these good companies who have been unfairly beaten down and have had their stock prices tanked. For example, if company XYZ is worth $10 a share for the past year and has a good business model that continues to produce profits, a small piece of bad news should not lower the price by two or three dollars. The company is still a $10 per share firm, and value investors look for these diamonds in the rough. I only like buying companies with a low price to earnings ratio (P/E Ratio). I look for a P/E ratio that is lower than the other companies in their industry and lower than the overall market’s ratio which is currently 18 for the S&P 500. A P/E Ratio is the current stock price divided by the earnings per share (EPS) of a company and is one of the most widely known metrics that investors use to determine value for a stock price. A P/E Ratio can either be historical (trailing P/E) or forecasted (forward P/E). A lower ratio insinuates that the company’s stock price is cheaper than it fundamentally should be when all other things are equal. There are many other valuation metrics that you can use such as Price to Growth (PEG), Price to Book, and other ratios. If you are having trouble grasping how to calculate a P/E Ratio, check out Own The Dollar’s great posting on the subject called “P/E Ratio Demystified“. Quick Note: I think investing in individual stocks is fun, challenging, and rewarding. But, I do not recommend investing all of your money in single stocks. Mutual funds are the way to go to invest for your future goals like retirement, college educations for your children, etc. It is very hard to pick winning individual companies when you only have a part-time commitment. Leave your retirement investing to the professional money managers and their analysts at the mutual funds. But, there is nothing wrong to take a small “slush” fund and invest in individual stocks that you have researched on your own. It is educational and exhilarating. Just, please do not bet the farm doing this. For example, I take about $500 a year in addition to my normal retirement investing in growth stock mutual funds and ear mark the money for investing in individual stocks. It’s my fun account, and it brings me a lot of joy. I’m actually up 10% this year on my two stock picks. Stay tuned for more in our six part series on picking individual stocks. Next time we will talk about stock charts, graphs, and technical analysis.